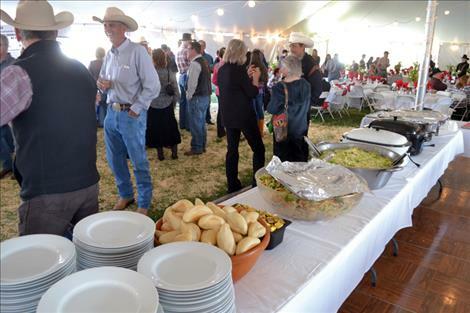 About 400 people attended the annual Cowboy Ball Friday night, bidding on auction items, feasting on a meal and dancing to country music. 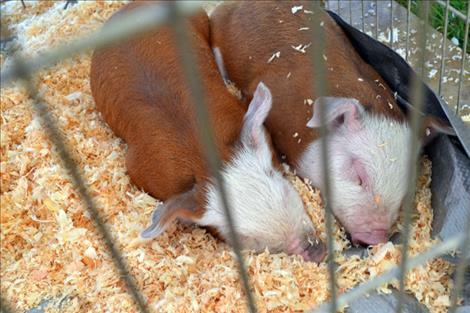 Piglets wait to be sold to help the Polson Fairgrounds earn money for improvements. 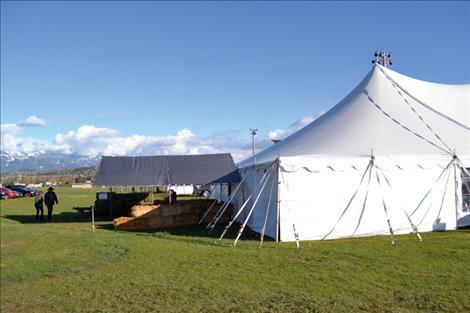 POLSON — The clouds blew away and the sun shone on the Polson Fairgrounds just in time for hundreds of folks to enjoy the Cowboy Ball on Friday night under the big top tent. 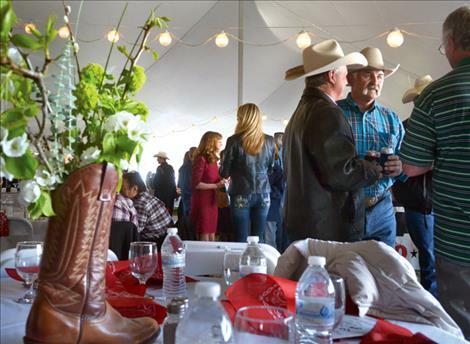 The annual fundraiser, put on by the non-profit group Polson Fairgrounds, Inc., supports the Lake County-owned facility near the Polson airport. 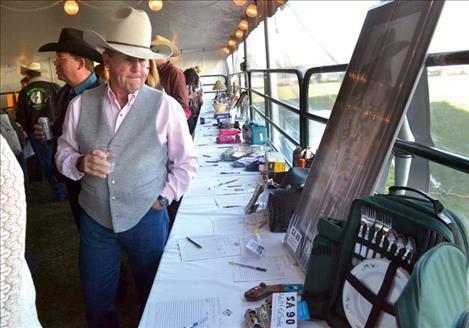 The live and silent auctions — which included everything from piglets to a picnic set — brought in about $18,500. 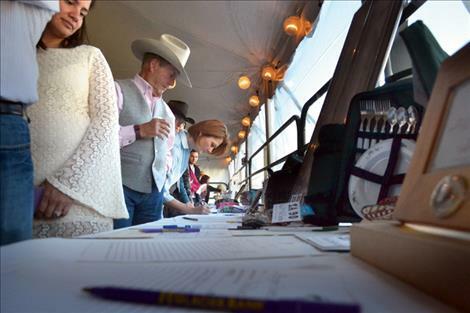 Fifty-seven people signed up to be Annual Sponsors at $200 each, bringing in $11,400. Cheers, Etc. donated half the bar proceeds after their expenses, and other miscellaneous income brought the total to almost $47,000, according to Graham. 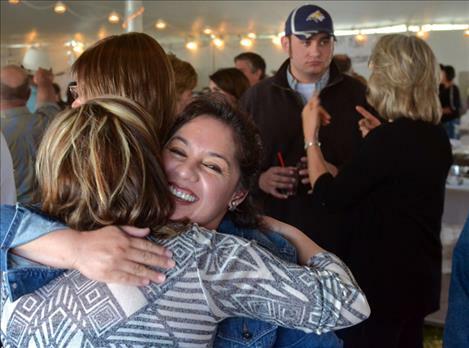 After subtracting $22,000 in expenses for the tent rental, tables, chairs, etc., catered dinner by Hog Boss Catering, Shodown Band, the auctioneer plus other minor expenditures, the group netted around $25,000 for the fairgrounds. Funds generated from the banquet are used for repairs and improvements on the Polson facility. Although the Polson Fairgrounds is owned by Lake County, the site doesn’t receive any annual tax dollars from the County; the fairgrounds tax on residents’ property taxes all go to the Ronan Fairgrounds site. Graham said they are always in need of new members who have some extra time and are willing to give them a hand. With the Mission Mountains as its backdrop, Polson Fairgrounds is the venue for many local events, including the award-winning Mission Mountain NRA Rodeo and the Flathead River INFR Rodeo. Other outdoor uses include the 4th of July fireworks show, high school cross-country meets, 4H events and concerts.